Great idea – thank you very much! 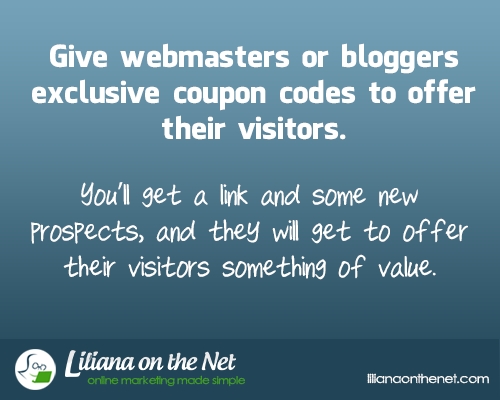 This is a great concept as the blogger, the visitor as well as the product owner will benefit from the coupon codes. So it creates a classical win-win situation for all parties involved.